Merry Christmas (Eve), my beautiful friends! Can you believe that the time has come already?! It's been a fast ride, but I purpose to enjoy the rest of it while it lasts, how about you?! I will be back on Monday with a brand new post, as I will be enjoying this evening and the weekend spending time with my family. But before I lounge, I wanted to share this look with you, in case you have plans on visiting a family member or friend's house today or Christmas day and aren't sure what to wear. 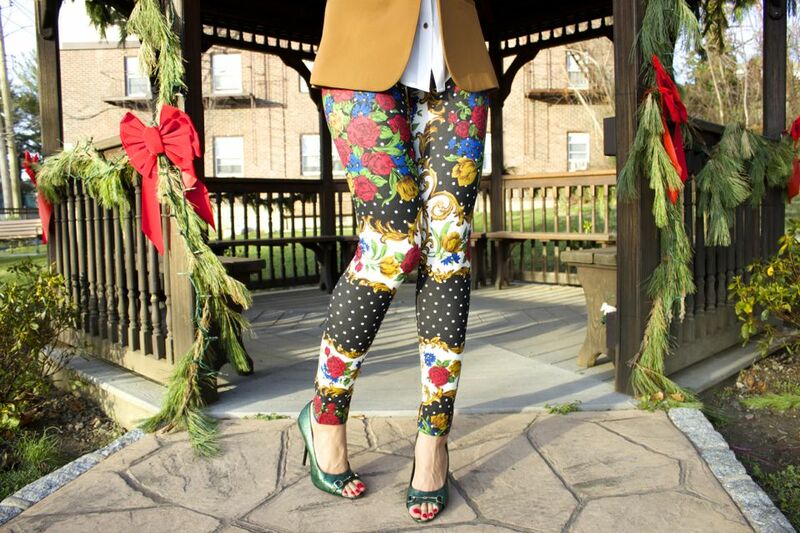 If you have a pair of festive leggings or pants, I encourage you to break them out! 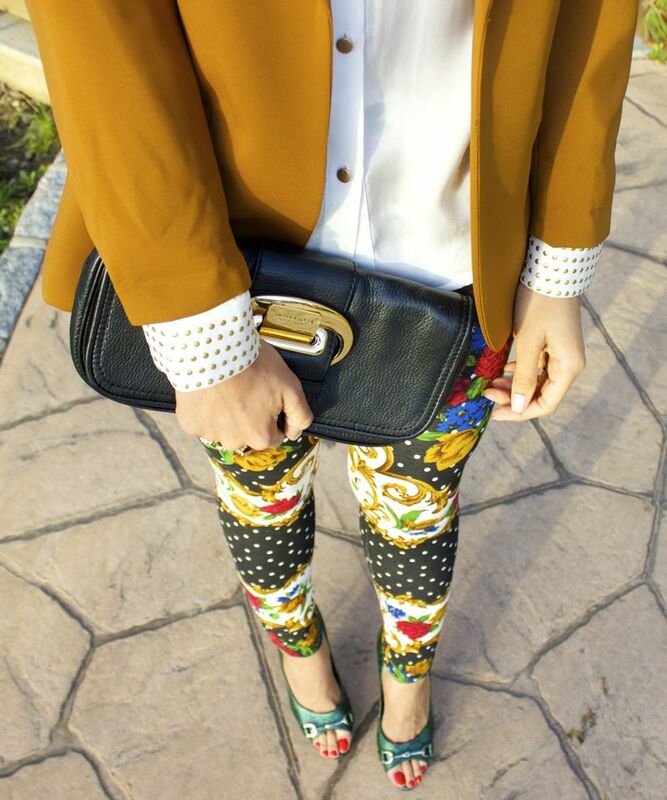 To help tone down the playfulness that festive prints can give, I highly suggest you wear a dressy top and/or blazer. It will help to refine the look and when opting for a solid color that's within the same palette as the print or pattern on your bottoms, it will create a cohesive flow, tying your whole look together. As always, I hope you found this post helpful in coming up with an outfit for your special gathering. I'm sending you and your loved ones lots of love and hoping you have a very Merry Christmas!